uh-oh. . Wallpaper and background images in the Liên minh công lý trẻ club. This Liên minh công lý trẻ fan art might contain chân dung, headshot, closeup, anime, truyện tranh, phim hoạt hình, and manga. who do you think looks most terrified? i cant tell, but if i had to pick, i would say superboy. 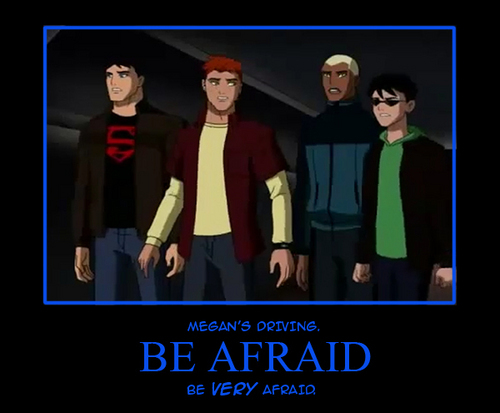 hmmm...EVERYONE looks the same mabey kid flash ?? ?